Home Ownership and the New Tax Rules: Are You Affected? Will it hurt or help to be a homeowner, or to buy a new home in the Tampa Bay area, under the new tax plan Congress passed in late December? “Real estate investors and developers see a win, while individual homeowners face a loss of deductions,” writes Mansion Global, a publication geared toward the luxury property-buying audience. “Worry over the housing market” is another one of its subtitles. “Why Buying a Home Just Got A Lot More Complicated,” says a piece in Business Guides. “New tax law expected to slow rise of home values, creating winners and losers,” reads a headline in the Chicago Tribune over a story from the Washington Post heralding the end of a tax code that subsidizes homeownership. In the first scenario, the woman buying the condo makes $58,000 a year. At first it looks like she’s $1,431 ahead of the game because of lower tax rates. But if she buys her desired condo at $205,000, taking out a 30-year fixed rate mortgage at 4 percent interest, and putting down 3.5 percent, her first-year mortgage interest would total $7,856, and she would pay real property taxes of $2,050. The upshot? Under the prior law, the purchase would have lowered her tax liability by a little more than $2,000. Under the new law, her taxes would actually go up and, what’s worse, the tax differential between renting and owning a home would shrink to about $50. In the family scenario, the parents make $55,000 and $65,000 per year. Having moved with their three children to a new city, they are currently renting, and when tax time comes they aren’t itemizing, though they had planned to do so when they settled on a home to buy. Under the old law, their net tax was $11,370. Under the new law, tax cuts would put their net tax, as renters, at $8,999. (In this scenario, if you make the couple homeowners instead of renters, their net tax would have remained virtually the same.) Therefore a family in a similar circumstance would have a far weaker incentive to own a home. Taken together, how do these changes affect homeowners – and home prices – across the country? According to the real estate website Zillow, 44 percent of homes in the United States were pricy enough to merit going the itemized-deduction route on the homeowners’ tax returns. Under the new tax plan, only 14.4 percent of homes will be valuable enough to make itemization worth the trouble. Therefore, “the vast majority of homeowners will now take the standard deduction, which analysts expect to drive down property values,” writes J. Brian Charles in Governing magazine. 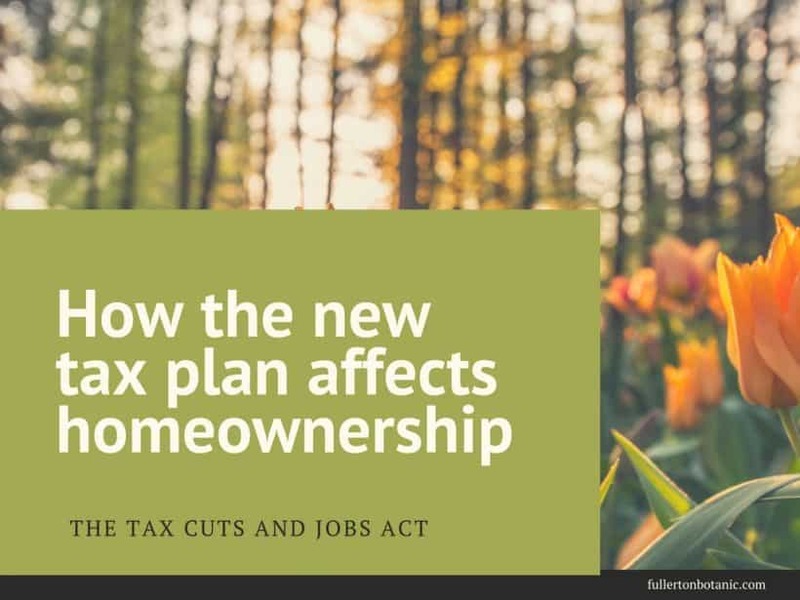 Keep in mind that as everyone works to understand the new tax code and its implication to our pocketbooks – and to the nation’s housing stock – there’s more to home ownership than a simple consideration of property values. For many of us, buying a home is a quality-of-life decision that impacts our emotional wellbeing perhaps even more than our bank balances. Mortgage rates are still at historic lows, while rents in many areas are rising. True, the rent-versus-buy calculators still haven’t been updated, but if you’re aching to buy your dream home, there’s absolutely no reason for you not to go ahead! If you’re interested in looking at properties in the Tampa region – or if it’s time to put your house on the market – I will be happy to help. And Happy New Year to all of my readers. I’m grateful to all of you who’ve kept my blog, The Tampa Real Estate Insider, a number one resource for real estate news in the Tampa Bay area for 12 years!